Are you sick of the pumpkin recipes yet? I hope NOT!! Fall is just starting so I’m hoping you’re prepared for the bombardment of pumpkin recipes the next month. I’ve shared a few already the past few weeks and have just a few more for you before baby comes. This next recipe is one that I’ve been wanting to make for years!! I’ve seen recipes for Pumpkin Cupcakes but most required a TON of ingredients and time, and I just wasn’t up for it. 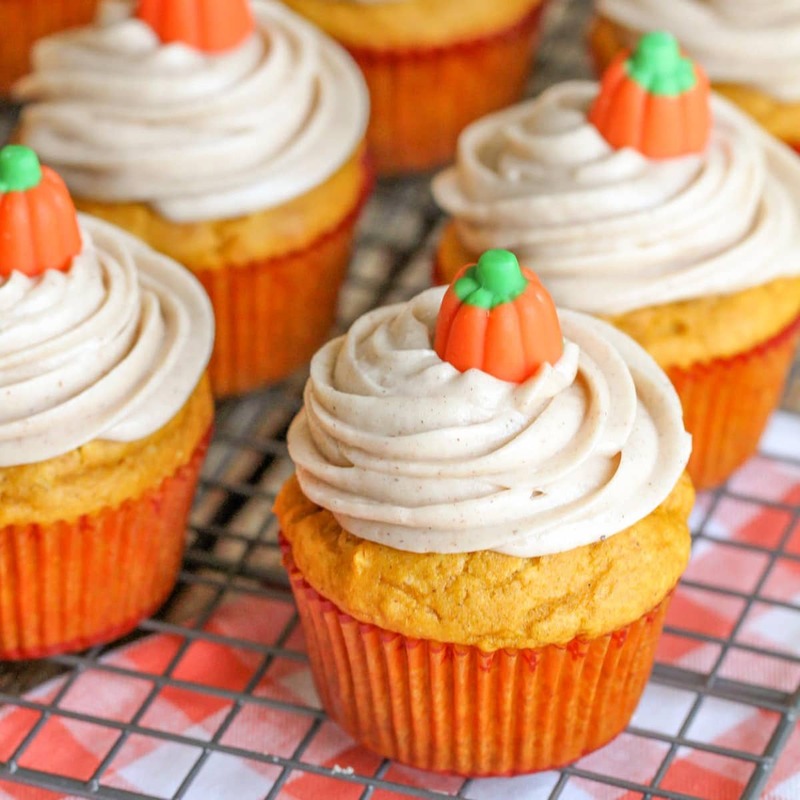 Call me lazy, but I’ve been on the search for an EASY Pumpkin Cupcakes recipe and finally found THE ONE! The recipe comes from Real Simple, and I only made a few modifications. 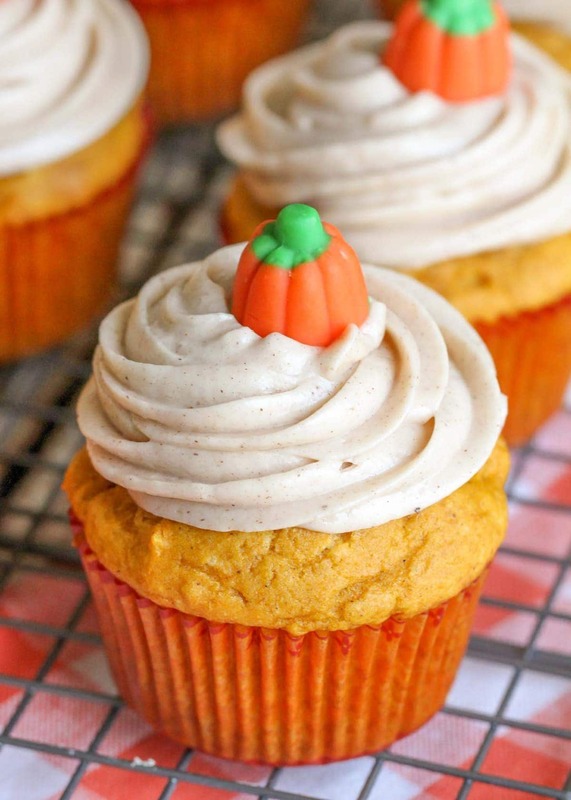 I also decided that if you’re going to make Pumpkin Cupcakes, you HAVE to make a Cinnamon Cream Cheese Frosting to go with them, which is exactly what I did. The hubby admitted to having 4 of them on the first night I made them. I also gave some to some friends that stopped by last week. They stopped by again Friday and admitted to eating all 6 cupcakes (there were only two of them) within 24 hours. All agreed that the frosting and the fluffy and moist cupcakes together was a great combo. 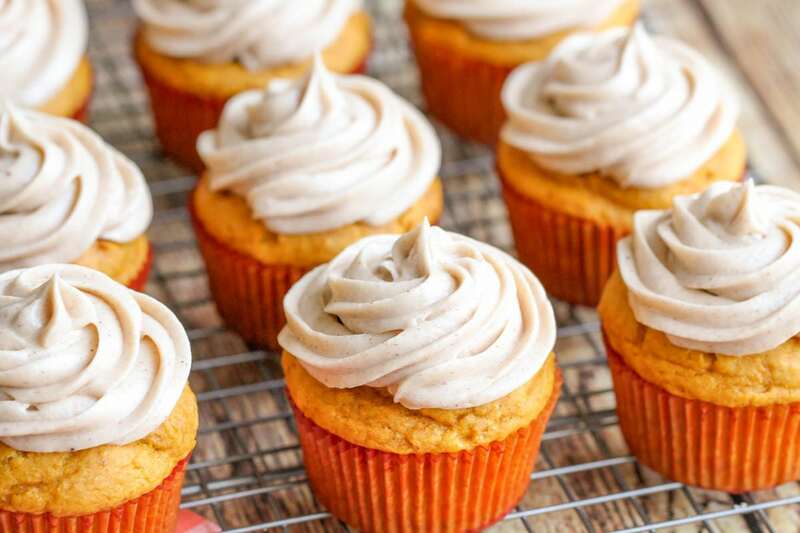 I think the cinnamon cream cheese frosting could pair well with other types of cupcakes, but I assure you… It was the PERFECT match for these pumpkin spice cupcakes. Total match made in heaven. And it’s nothing too fancy, in fact it only takes 5 ingredients! 0 Response to "EASY PUMPKIN CUPCAKES"